Call us toll free today to start solving your surgical eye equipment needs! MEDiSURG is the leading expert in Phaco and Vitrectomy surgical equipment, training, full service, and parts to keep the cost under control. 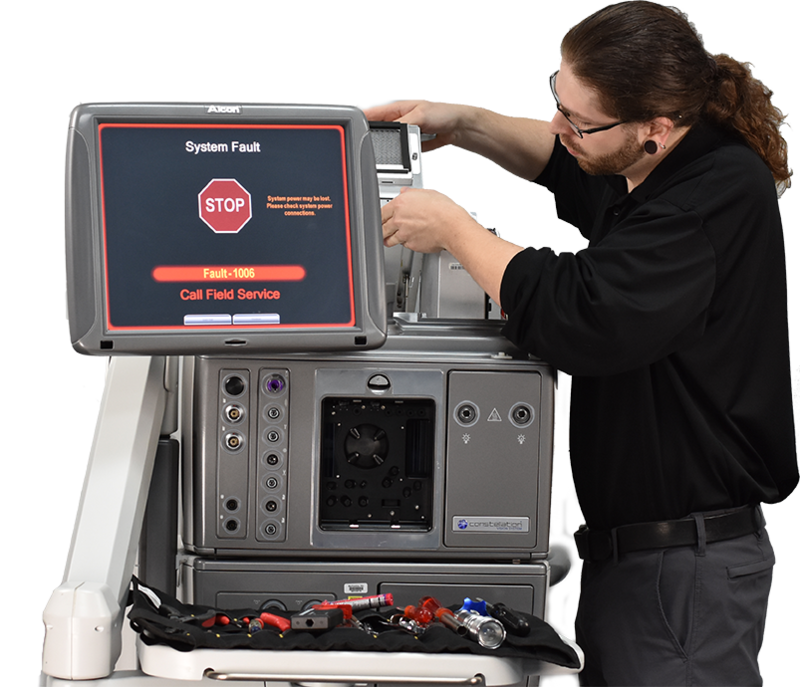 MEDiSURG comes to your facility to perform preventive maintenance on the cutting edge surgical equipment. Need to schedule service, training, or purchase parts? Fill out the form below with a short message and we will take care of you. On site service, training, parts sales, inservicing, handpiece repair, loaners, rentals, purchase used equipment. Medisurg works on ALCON , A MO, B & L , OERTLI eye surgical equipment. We carry parts and expertise. One-Stop-Shop for EYE Surgical Equipment. Specialist in eye surgery. Growing and expanding to meet your needs.